The Simpsons' steamed hams, but it's a quiz. Springfield, Springfield, it's a hell of a town. First introduced to viewers back in 1989, the Simpson and many other citizens of Springfield (State Unknown) have been delighting us for almost 30 years (or did so for at least 10 of those, anyway), but how well do you really know them? The 21st episode of The Simpsons' seventh season, 22 Short Films About Springfield, attempted to put the spotlight on some of its lesser-known characters, focusing less on Homer and Bart and more on the likes of Chief Wiggum, Nelson Muntz, Herman Hermann and, almost, Professor Frink. That gave us a little glimpse into their lives, but there's much, much more to try and remember about the weirdos, whackjobs, and Wiggums who help make the town so much better than Shelbyville. Do you know your Dr Nick from Dr Hibbert? Your Seymour Skinners from your Armin Tamzarians? Can you tell the difference between Snowball I and Snowball II? Recognise a steamed ham from a steamed clam? The schoolyard's up, the shopping mall's down, take this quiz and let your knowledge astound. 1. 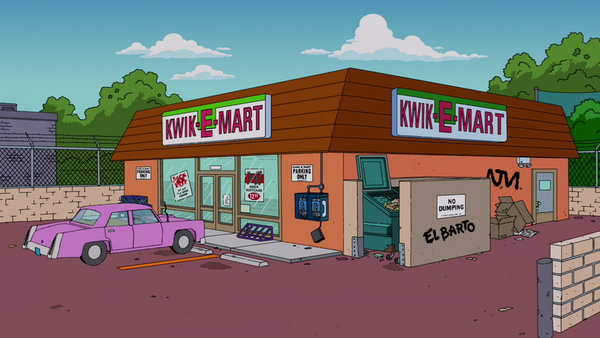 Where Are The Kwik-E-Mart Headquarters Located?